Opening a panel on travel writing at the Royal Africa Society’s Africa Writes festival in London, panel chair Fatimah Kelleher observed that travel writing has often been a narrow genre in the past, dominated by Western perspectives on the world. What space, she asked, is there for African and African diaspora travel writing, whether about Africa or the rest of the world? The travel writing panel was composed of Noo Saro-Wiwa, travel journalist and author of Nigerian travel book Looking for Transwonderland; Justin Edwards, scholar of travel writing and co-editor of the anthology Other Routes: 1500 Years of African and Asian Travel Writing; and Andy Akinwolere, television presenter, journalist and traveller. It was chaired by Fatimah Kelleher (whose blog posts on African travel writing you can read here). Together, and from quite different perspectives, they tackled this question of creating space for African travel writing. Perhaps I’m biased because I’ve just finished researching a doctorate on the literary history of Nigerian travel writing, but it seems to me there is a growing buzz about travel writing by Africans. Interest in the genre often centres on growing African self-representation through travel writing, and the possibilities of reclaiming a genre which can be seen as inherently tainted, colonial in origin and with a tendency towards the worst kinds of stereotyping. This sense of travel writing’s potential for ‘telling our own stories’ was implicit in the panel’s title: ‘Broadening the Gaze: African and Diaspora Travel Writing in the 21st century’, which pointed to the need to reclaim the ‘gaze’ that is central to travel writing’s rhetoric and which has tended to offer white and Western perspectives on the world. But travel writing also interests me because contemporary travel writers often do interesting things with form, the internet and self-publishing, and in this sense are part of the boundary-pushing that we heard about elsewhere at the Africa Writes festival, whether in the form of Afro-futurism, writing ‘beyond the novel’, genre fiction, or the ‘literary crossdressing’ of genre-bending writers. 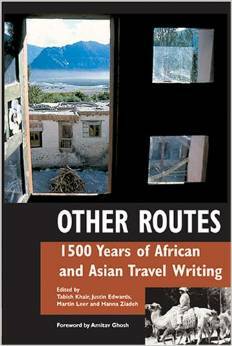 Justin Edwards pointed out there is not so much a lack of African travel writers, but their writing is often not widely published and accessible – hence the impetus for Other Routes, his anthology of several centuries of African and Asian travel writing. The same has in the past been the case for Asian travel writers, too, although, as Fatimah Kelleher observed, if you go into a bookshop in the UK today you are likely to see books by Indian travel writers on the shelves; why is this not so much the case for African travel writers? Andy Akinwolere agreed that African travellers and travel writers are not highly visible, and said he felt he was constantly pushing about boundaries as a traveller. While travelling as a presenter for the long-running children’s television programme Blue Peter, he was trying to change the rhetoric about where and how African and diaspora travellers travel – such as when he undertook a bungee jump for Blue Peter, which was seen, he said, as not an ‘African’ thing to do. He also found himself challenging expectations about the kinds of stories that could be relayed to mainstream audiences or readers in the UK, with both newspapers and television expecting a particular kind of travel and travel writing. While he was keen to tell stories about his encounters with the African diaspora throughout the world, he faced doubts from editors about whether prime-time audiences are ready for African travellers or to hear stories about the African diaspora. He described how when he travelled to Salvador he had hoped to write a newspaper travel piece exploring its history of slavery, but his editor expected him to tell stories of beaches. However, Andy suggested, the accessibility of blogging and the online space is making it easier for African and diaspora travellers to tell the kinds of stories they think are important. Noo Saro-Wiwa also gestured to the importance of the online space for allowing new travel writers to emerge and therefore encouraging multiple voices and perspectives, which she sees as central to the genre. 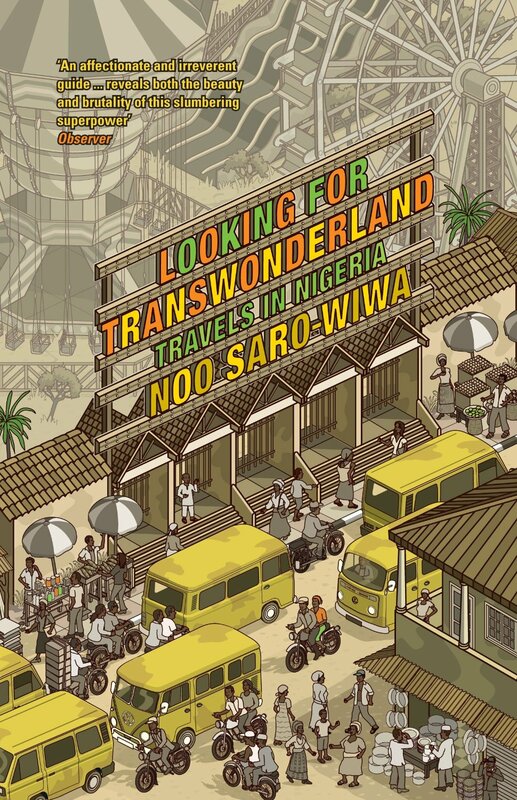 She related this to critique of her travel book Looking for Transwonderland for portraying the frustrations and disappointments she encountered while travelling Nigeria; it is important, she argued, for readers to recognise that all travel writing is subjective and cannot give an authoritative impression of the places travelled to. She therefore did not have responsibility for representing Nigeria in any particular way, but rather was in dialogue with numerous different perspectives on the country. In fact, she said, Looking for Transwonderland had encouraged other Nigerians in diaspora to travel Nigeria. The elephant in the room throughout the panel was the question of what is the point of travel writing today? Is it just a tainted genre, one of little relevance to most African readers? Justin Edwards argued that African and diaspora travel writers do not simply reject the genre; they work with it despite its colonial heritage. Travel writing can perform political and ideological work, as in the case of Caryl Phillips’ travel writing, for instance. Indeed, Noo Saro-Wiwa pointed out, in response to an audience question about whether travelling as person of colour is necessarily political, that being apolitical is in fact the preserve of a very privileged minority; for most of the world, identity is inescapably political. But that is not a negative; on the contrary, she suggested, if travel writing is dominated by middle-class, white travellers who lead a ‘frictionless existence’, it will become dry and irrelevant. Some of the most interesting aspects of the discussion for me focused on questions of genre and form. Fatimah Kelleher pointed out that fiction is currently booming in African literature and is often seen as the natural choice for an aspiring African writer; why would one choose travel writing instead? For Noo Saro-Wiwa, the choice wasn’t between travel writing and fiction but between travel writing and journalism; she preferred travel writing to hard news reporting because of travel writing’s great potential for portraying everyday life and realities. But her passion, she said, was for travelling – the travel writing emerged out of her travels, rather than the other way around. Justin Edwards suggested that contemporary African and Asian travel writing often moves away from the conventional storytelling paradigm of Western travel writing and experiments with form and genre, casting off the genre’s Western inheritance. Fatimah Kelleher added that African travel writing is often ensconced in other genres such as autobiography, rather than necessarily published explicitly as travel writing, as in the case of Binyavanga Wainaina’s memoir One Day I Will Write About This Place. Perhaps, she suggested, the genre needs to be re-framed completely, and the idea of who travels and how they write about it re-imagined from African perspectives? This notion that African travel writing could be doing something very different from what we’ve seen before was left open. I would love to hear more about what African audiences might want to read in travel writing, and how travel writing relates to other kinds of fiction and non-fiction. If the discussion at Africa Writes is anything to go by, the future of travel writing lies in its experiments with genre and form, its political potential (whether through explicitly political writing or a more subtle engagement with the politics of self-representation, identity and storytelling) and its creation of new writers, new readers and new forms of writing.